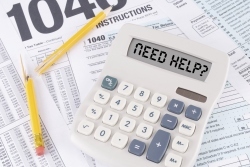 If you're experiencing tax problems with the IRS you're probably feeling overwhelmed. The idea of trying to pay off mounting tax penalties, finding missing paperwork to file your back taxes, or facing an IRS audit can seem like too much to bear. If you're in this situation, turn to Leonard G. Nelms, CPA, P.C.. We’re highly experienced Marietta, GA tax accountants that get tax relief for both businesses and individuals. We can file delinquent tax returns, get tax penalties reduced, and negotiate a number of different payment options to pay off your tax debt like an Offer in Compromise or an Installment Agreement. If you've received a notice of a lien, levy, or wage garnishment contact us right away. We can act quickly to negotiate a reasonable payment plan before the IRS takes drastic measures like seizing your property of garnishing your wages. For more information about our IRS tax problem resolutions services, please visit our IRS tax problem resolution website.